North Yorkshire is a well known non-metropolitan county and is located primarily in the region of Yorkshire. 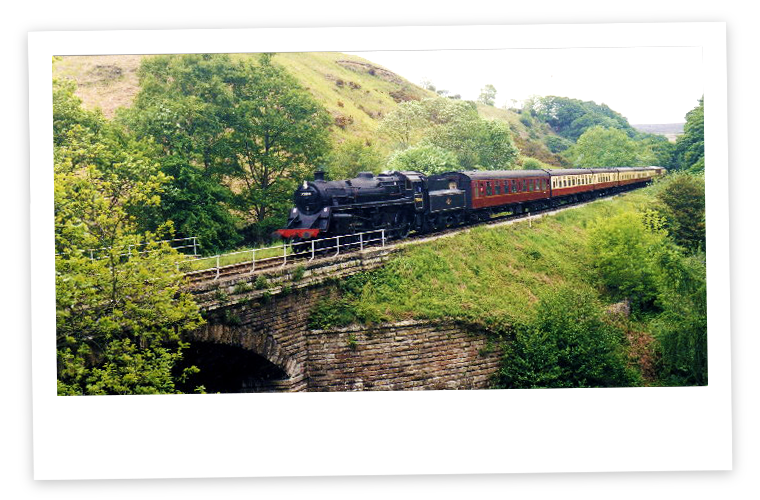 If you have had the pleasure of visiting North Yorkshire then you will know that this is a beautiful location for families and individuals whatever age. The beautiful countryside can be enjoyed by the very youngest in the family or the oldest. 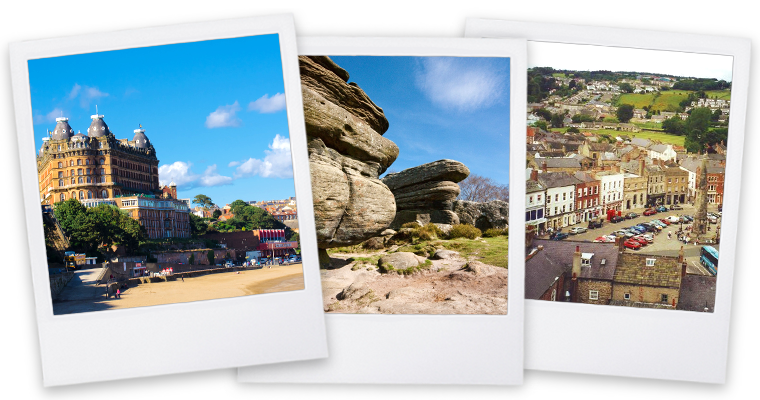 With locations such as parks, museums, moors and so much more, there is guaranteed to be an activity or relaxation break for everyone. If you are planning your family holiday in North Yorkshire, you might want to assess what is accessible and appropriate for your family beforehand. 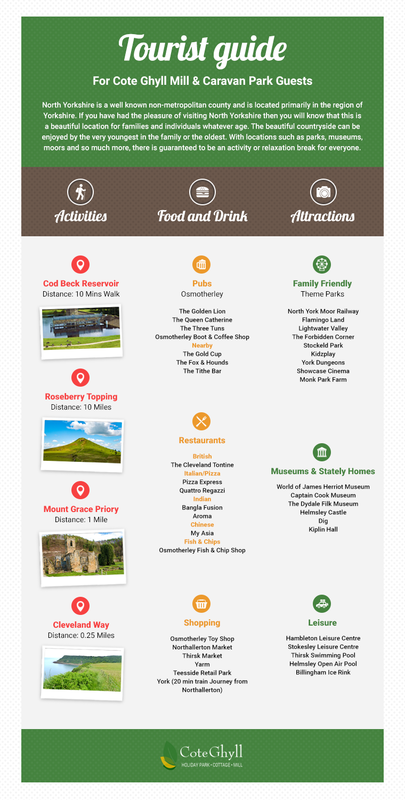 Here in North Yorkshire you will find a great range of locations to visit no matter your area of stay. 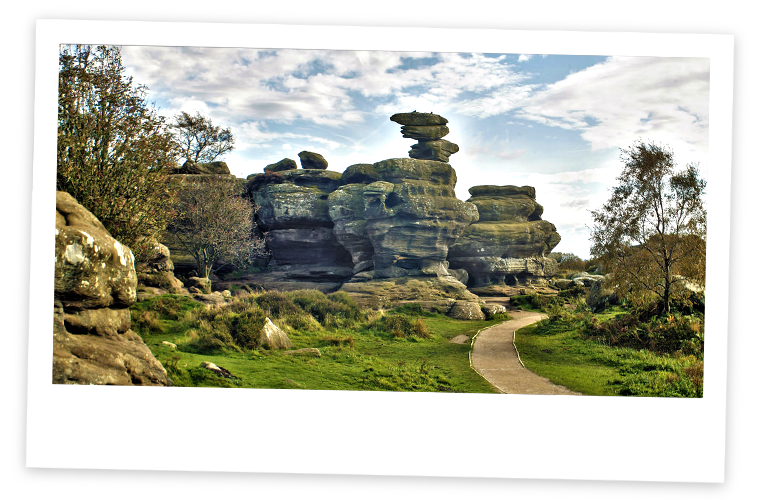 If you are a walking, hiking or cycling enthusiast then the North York Moors, Yorkshire Dales, Herriot County and Yorkshire Coast are perfect locations for you. 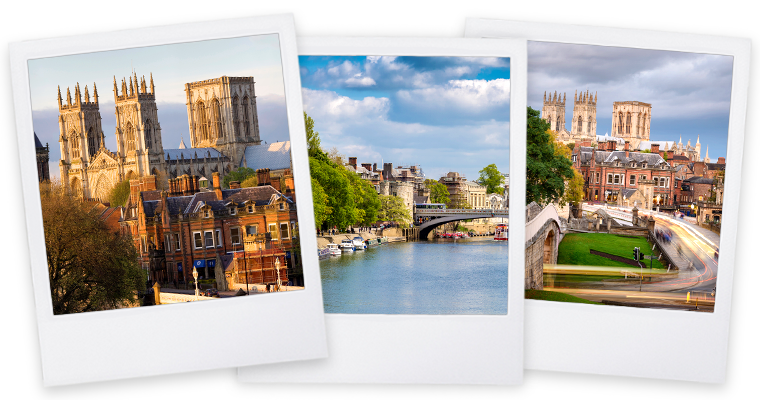 If you love a bit of history, Gothic cathedrals and cobbled streets then York is the ideal place for you. North Yorkshire is filled with beautiful landmarks and locations for the whole family, whether you are looking for a fun play park for children, a coastal walk or cycle route, or even a lovely day out to a museum, North Yorkshire has it all. Flamingo Land is one of the most popular theme parks in North Yorkshire, alongside Lightwater Valley and the infamous Go Ape high ropes at Dalby Forest all of which are perfect for children and adults! You can also visit and book in at the magnificent Cote Ghyll which is situated in the village of Osmotherley. Cote Ghyll is the perfect location to visit if you want onsite activities, a place for food and drink and most importantly a restful vacation. Cote Ghyll and Teesoutdoors test your nerves with ziplines and abseiling as well as climbing walls, bushcrafts and aerial river crossing… What’s not to love! 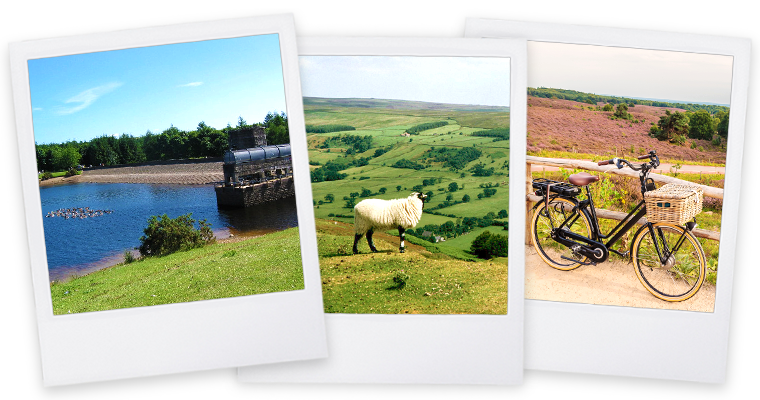 If your family consists of hiking and cycling enthusiasts then North Yorkshire is home to some of the best National Trust parks and reservoirs. Roseberry Topping being one of the most popular which is situated in the beautiful North York Moors. With a 320m elevation this prominent hill is perfect for families of all ages as well as dogs (dogs are part of the family too after all). Alongside the perfect locations for families, there are also numerous places to visit on your own or as a couple. Cod Beck reservoir is a popular tourist attraction in North Yorkshire as you can take a lovely circuit of the reservoir and take in all of the views above Osmotherley. Cycling routes are also very popular in North Yorkshire, especially ones that are challenging for individuals cycling alone and those cycling as a pair. The national route 65 is a perfect route to take as it is fully open and signed. The Route 65 runs from Hornsea to Middlesbrough, passing both Beningbrough Hall & Gardens and the spectacular North York Moors. North Yorkshire is full of beautiful places to visit, but what about staying over and making a holiday out of your visit? Due to the alluring scenic locations, landmarks and the surrounding countryside there are many places to stay in North Yorkshire. Throughout North Yorkshire, there are numerous places to stay whether it is for one night, a weekend, a week or even longer! If you are looking to stay in a city based location such as York, here are some of the best places to stay for style and the best location; Grays Court York, The Judges Lodging, The Parisi or the Hotel du Vin. 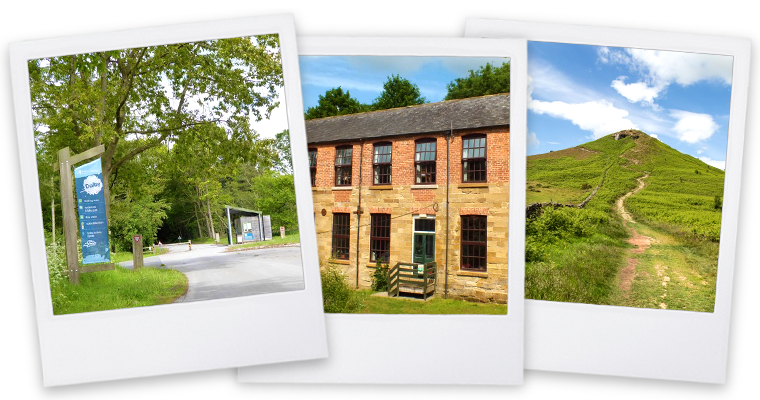 If you are looking for a place to stay in the countryside for the whole family, Cote Ghyll Mill is the perfect location for both large families, couples or individuals. Cote Ghyll is a perfect if you are wanting to explore the surrounding areas on foot or on your bike, it is also home to a variety of outdoor activities which will most definitely keep everyone entertained throughout your stay. Cote Ghyll is also home to the finest North Yorkshire caravan park and campsite which is ideal for families who love to camp or travel the UK in their touring campervan or motorhome.